Market research and analysis are the two pillars of trading. Serious crypto traders need to gather intel from multiple sources to execute effectively. We’ve compiled a list of different sites to help you with your market research. Coinigy is an all in one platform for traders. They have advanced charting tools for over 40 exchanges that cover the entire spectrum of crypto markets. This site can also be used as a central trading platform to manage multiple exchange accounts. You can set up text message and email alerts to notify you of any changes in the markets so that you never miss out on the action. 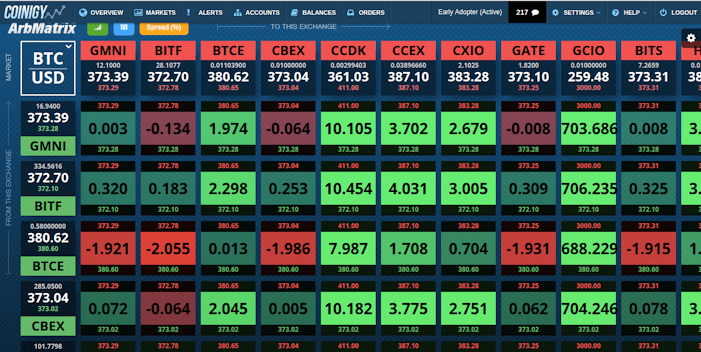 Coinigy has news feeds and an arbitrage matrix that can help you take advantage of any disparities in bitcoin prices.